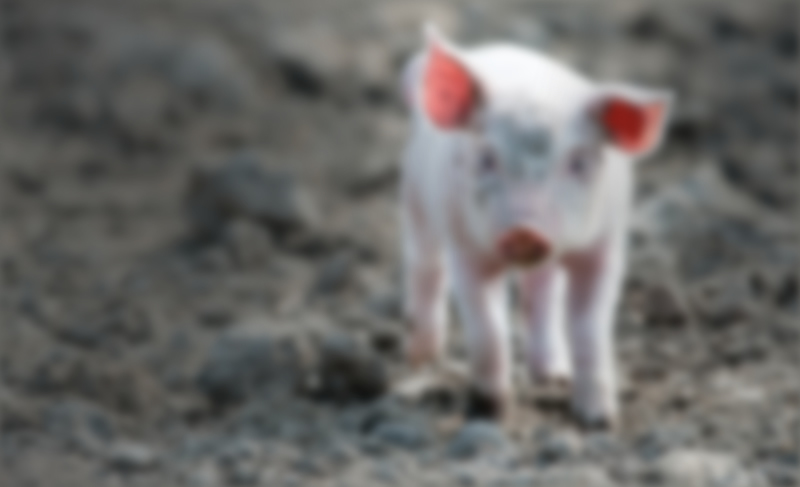 Pigs less than 12 months old may be moved between holdings using a temporary paint mark (see below) which must last at least until a pig reaches its destination. Click the link below for more information on tag regulations. Fitting instructions can be found on this page, below. 1. Plastic button tags can be applied in either ear. Separate the male part from the female. 2. Place the male part firmly on the applicator pin. 3. Push the female part under the tongue into the jaw of the applicator. Make sure the parts line up correctly on the applicator and will lock together when correctly fitted. 5. Place the male part of the tag on to the back of the ear with the female to the inner ear. The tip of the male part should be in the centre of the ear, between the ridges of cartilage avoiding any obvious veins. Squeeze the applicator firmly together. 6. Rotate the tag to the right and the left to ensure free movement. Repeat procedure with the secondtag in the other ear (if ordered). Ensure that the second tag bears the same number as the primary tag. When fitting metal tags to pigs choose a location at the top of the ear about 1/3 from the head. Leave enough space (1/3 inch) under the fold of the tag to allow for ear growth. The 'curl lock' should be positioned in the inside (front) of the ear.